This Trustmark Health Insurance Company Review will discuss the Trustmark Companies. 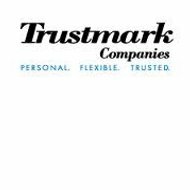 Trustmark Companies is made up of a number of health management organizations, benefits administrations, and health insurance companies that serve individuals, brokers, and employer groups. To compare health insurance rates for this company or others in your area, just fill in your zip code on this page. Trustmark Companies is able to offer a variety of insurance services and products because of its partnerships with different companies that specialize in their specific market. CoreSource is the company used for employee benefits solutions. Starmark specializes in healthcare benefits for smaller companies-those with 2-99 employees. Trustmark Voluntary Benefit Solutions offers voluntary benefits for employees nationwide. HealthFitness brings health improvement services to employees of the healthcare industry and companies as well as to the individual consumer. Health Contact Partners is a contact center that specializes in support and information for personalized health. Trustmark Disability Advisors are the specialists who manage disability claims and help employees return to work as quickly as possible. Trustmark Individual Medical offers medical insurance to individuals. Trustmark Companies are focused on supporting education and programs in the community that are related to health issues. The Trustmark Foundation has been around for 27 years and supports involvement in the community through volunteerism and program donations. Employees of Trustmark work individually as well as with the company to help improve everyone’s quality of life. Impact is another grant program through the Trustmark Foundation that is focused on educators and their classroom education. Classrooms receive grant money for innovative educational programs that help to promote healthy lifestyles. This program is currently available for the local community of Lake Forest, Illinois and Lake County, Illinois. If you own a business and are looking for health insurance coverage for your employees, Trustmark offers a number of different group plans. They can find and organize a plan for companies that range from two employees to thousands of employees. CoreSource is the company that helps to administer the group medical plans for employers while Starmark is the company that offers the products. Starmark also offers online health tools to help members manage their health. The Health Center is a health management system that is interactive. It includes a health risk assessment, which helps members to evaluate their overall health and get personalized recommendations for tools and improvements to reach their goals. The Health Center includes a personal health record, which is a way for plan members to keep track of lab results, prescriptions, physicians, and other health information. There is a personal evaluation system that takes members through a process to assess their symptoms. There are also wellness programs available online to help members set incentives to reach personal goals and track their results in order to develop healthy lifestyle transformations. The health center also allows members to find doctors and hospitals in the area as well as to compare them. You can find out additional health information by going to http://www.webmd.com. The core values of Trustmark are to be trusted, flexible, and personal. If you think it would be a company you would like to work for, you can check out current job openings through their website as well as watch a video describing what it is like to work at Trustmark. To search for health insurance right now, just fill in your zip code in the space provided. In 1971, I purchased a major medical policy from Provident Life & Casualty, now one of the Trustmark companies. For 42 years it has covered not only me but also my family, including two daughters from birth through college. This past September I mailed in my semi-annual premium check. Each of the previous 84 arrived in timely fashion. But in mid-October, on returning from an extended trip, I found a letter terminating the policy due to failure to pay. And since I am over age 65, reinstatement was not possible. The envelope containing the payment has not been returned as undeliverable, nor had the check been cashed. Last Friday I spoke with Steve Shattner, a Trustmark customer service supervisor. He asked me to write a letter listing the reasons why my policy should be reinstated. I walked the letter to the post office that afternoon. Yesterday, just six days later, I got a call back from Trustmark. My appeal was accepted, my policy reinstated. When I first purchased my policy, banks and insurance companies were seen as low-rollers: bankers closed the door at 3 pm to go play golf, insurance companies were run by actuarial sporting green eyeshades. So much has changed reputationally. But though Provident Life & Casualty, of Chattanooga TN, was absorbed some time ago by Trustmark, I am heartened that Trustmark afforded a client of 42 years a fair hearing. Worst medical insurance I ever had. Doctor in network ordered some test in the office. And he said it needs to be done. Starmark didn’t pay even for the urine test. I had to do 2 appeals. After each appeal, they paid something. Finally, they refused to review for external appeal by saying that “We are unable to review these claims further because the self-funded plan is no longer administered by Starmark”. Worst experience I ever had.